Hosted by the BBC’s Sian Lloyd, the awards recognise the best HR professionals at all levels, from apprentices to directors, and organisations as a whole across various industry sectors in Wales – showcasing the commitment, hard work and achievements of individuals and teams within the HR profession over the last 12 months. We’re absolutely thrilled that all the hard work we’ve done with our brilliant colleagues to make Companies House an exceptional place to work has been recognised. We’ll continue to find creative ways to ensure everyone can flourish and keep working as one to achieve great results. 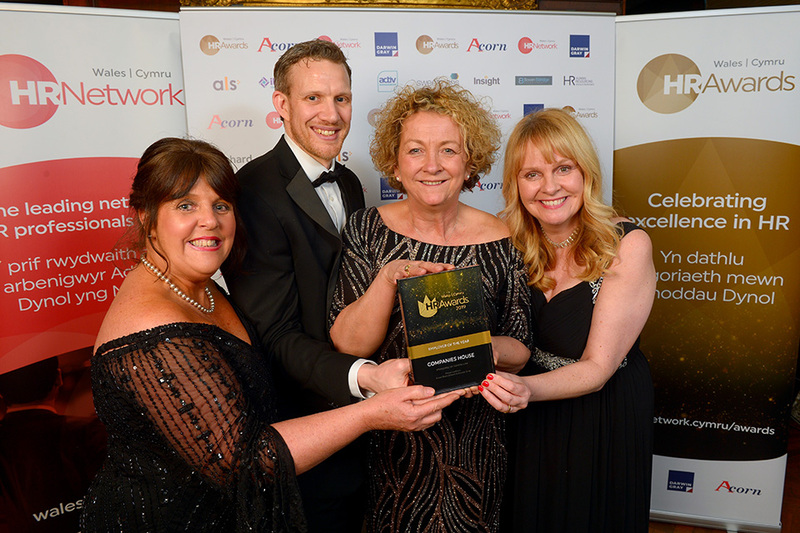 Our HR team and Chief Executive Louise Smyth receiving the Employer of the Year award. Employer of the Year is always a tough category for the judges and this year was no exception! With some high-quality contenders, Companies House was a well-deserved winner, showing demonstrable improvements for their employees and workplace culture. Companies House has achieved some fantastic things through their employees and are a deserving winner of Employer of the Year. Its Flourish programme has championed diversity and inclusion to achieve ‘a real sense of community’ throughout the organisation. It’s been absolutely fantastic to see so many excellent HR professionals come together to showcase the talent within HR in Wales. 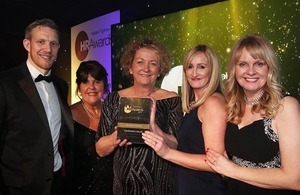 See the full list of 2019 Wales HR Awards winners.